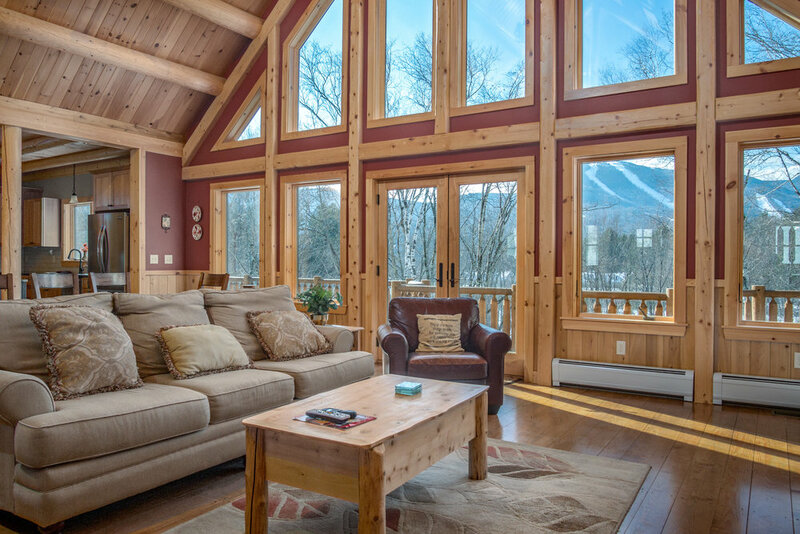 This Luxury Katahdin Cedar Log Home offers views of the Sunday River slopes and is located directly on the Sunday River itself. 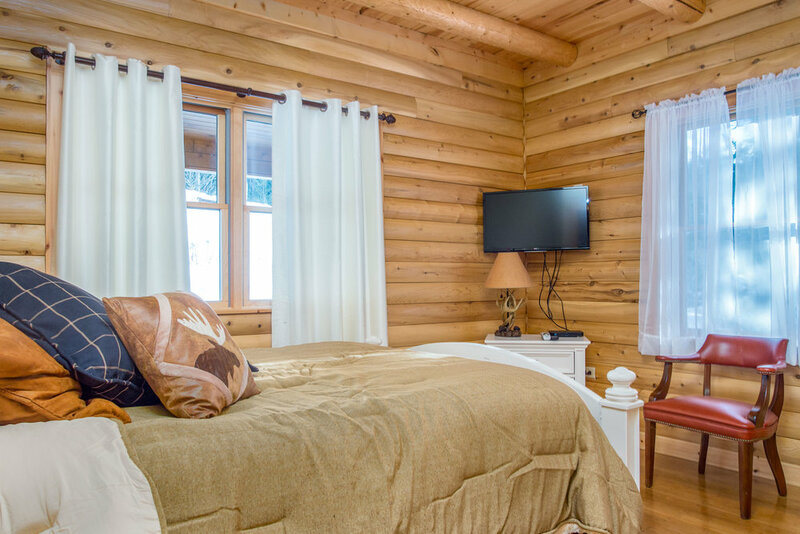 You will enjoy a world class rustic 18th century style log home with 21st century comforts and amenities. 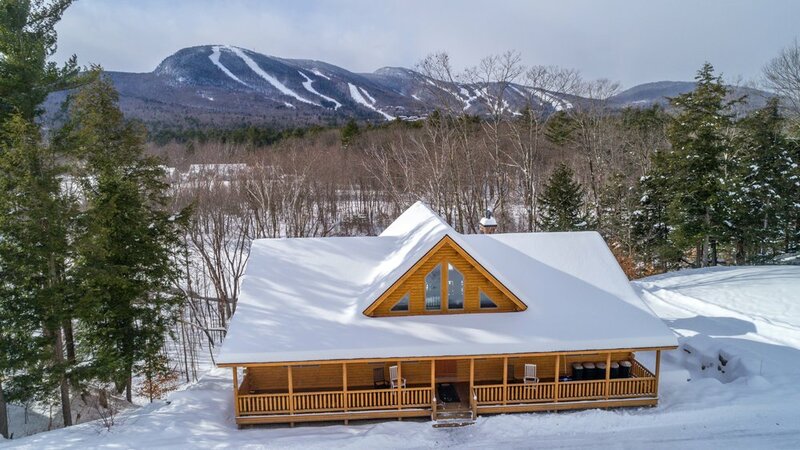 The lodge is less than 2 miles to the lifts at Sunday River Ski resort. 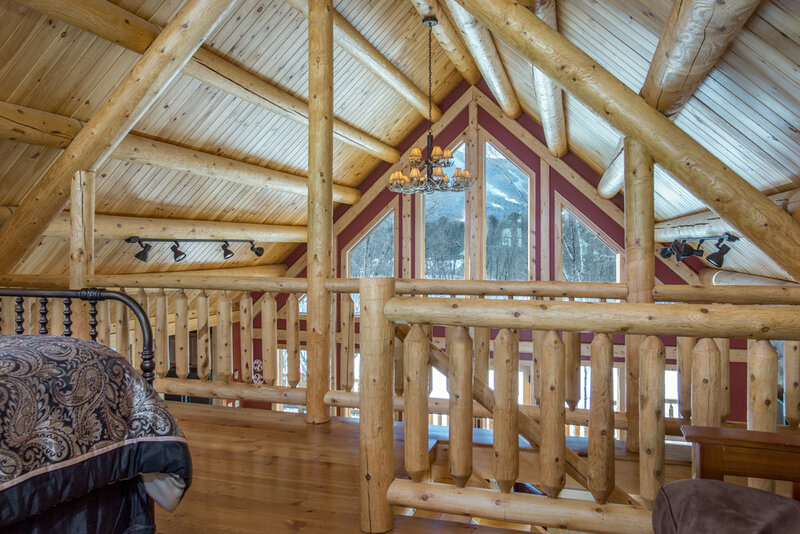 In the winter, wake up to crisp mountain air, grab your gear and be on the slopes in minutes! 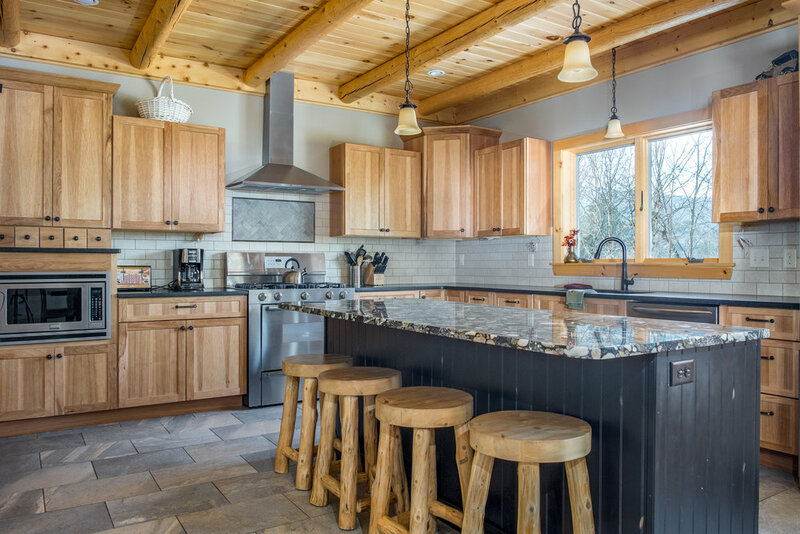 With over 6,000 kilometers of snowmobile and ATV trails less than 100 yards from your front door the possibilities are endless. No need to trailer your machines, just park them, walk out the door and ride! In the spring and summer enjoy a lazy breakfast on the deck, meander down the manicured path to your private spot on the river. 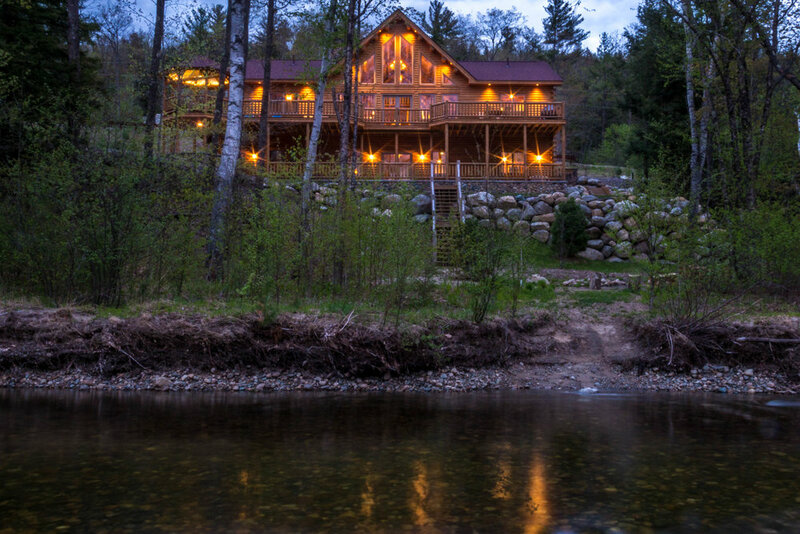 Sit quietly listening to the river flow while enjoying your coffee, try your hand at fishing, or wade in for a dip. This is a rare find, as it offers 4,500 sq. ft. of interior living space plus over 3,500 sq. 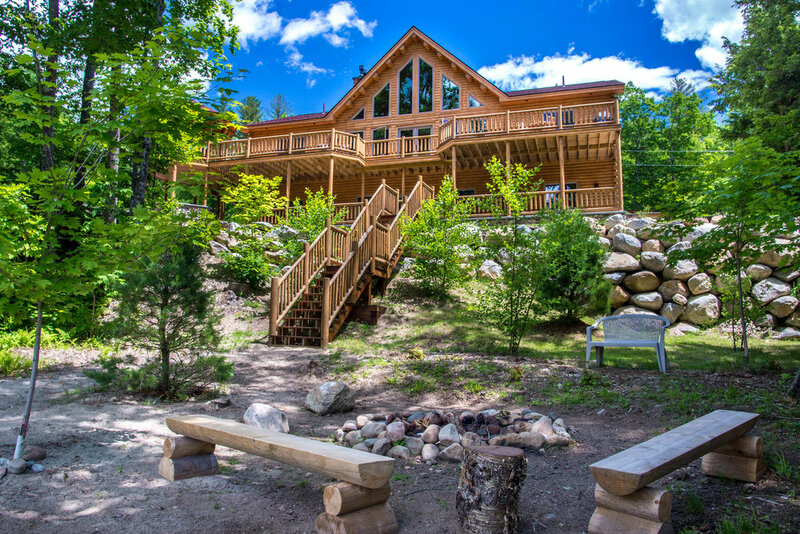 ft of unprecedented outdoor living and entertaining space. 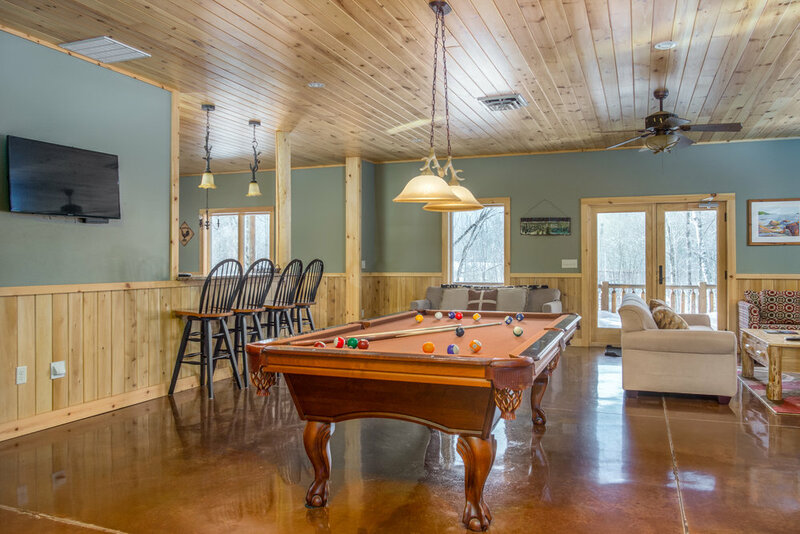 The lodge boasts a great room peaking at 28', 2 kitchens, wet bar, pub bar, 2 river rock gas fireplaces, 55" Televisions over each fireplace, 40" at the wet bar, and 32" in each of the three main level bedrooms all with HBO, Showtime, Stars, Cinemax, and Sports packages. 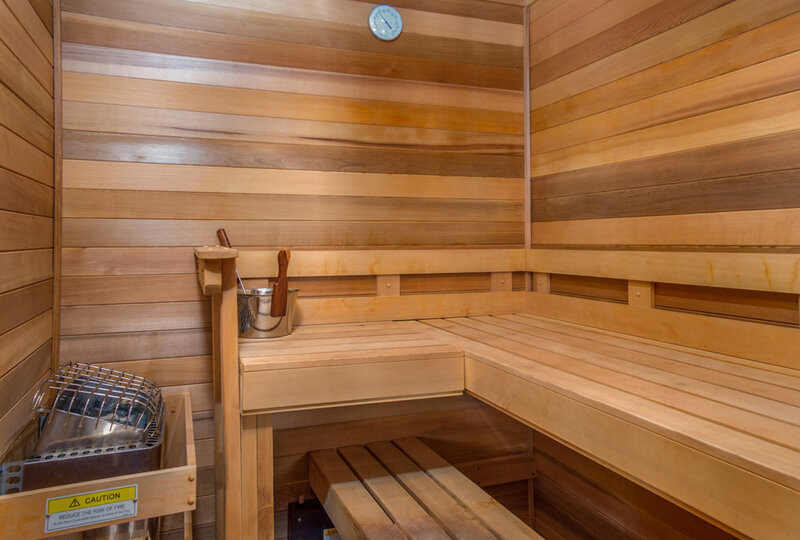 A custom log pool table centers the downstairs living area joined by a red cedar sauna The master bath features a steam shower with 12" rain shower head. Each main floor bedroom has upgraded mattresses plus its own television. 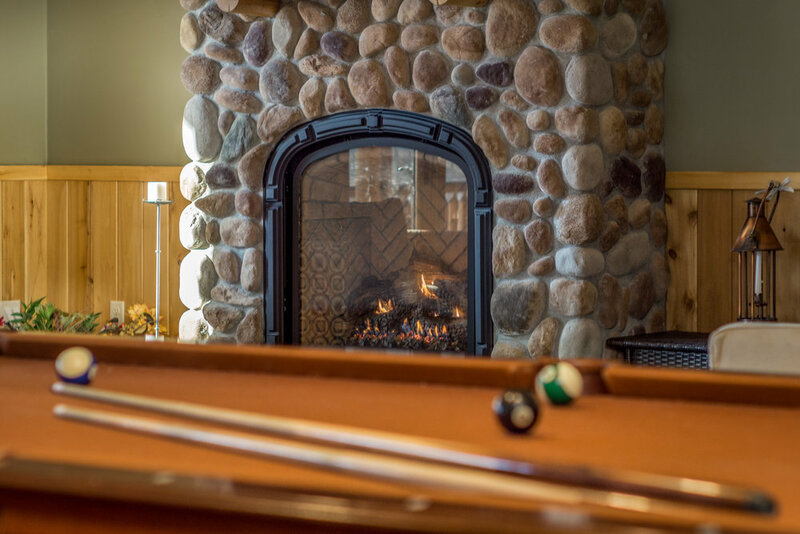 You will find the main floor toasty at all times with radiant heat throughout. 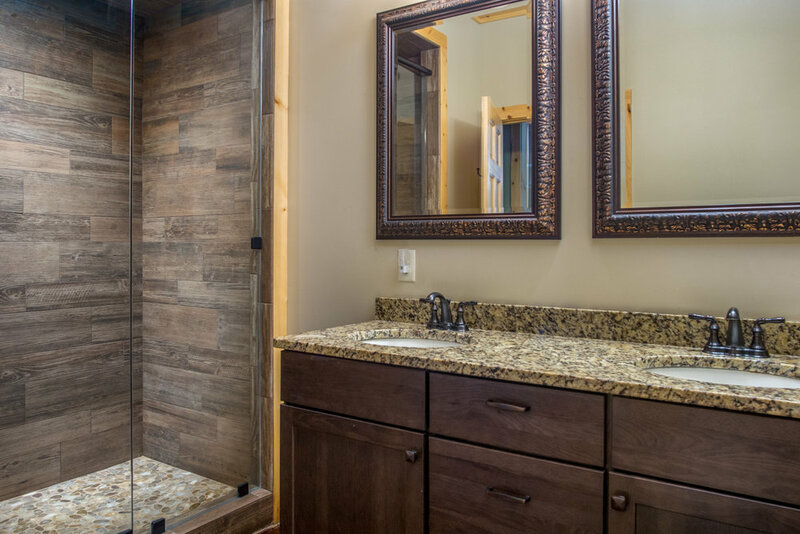 This property was designed to accommodate everyone in your group. Comfortably sleep 16 privately and up to 23 with hide away beds. 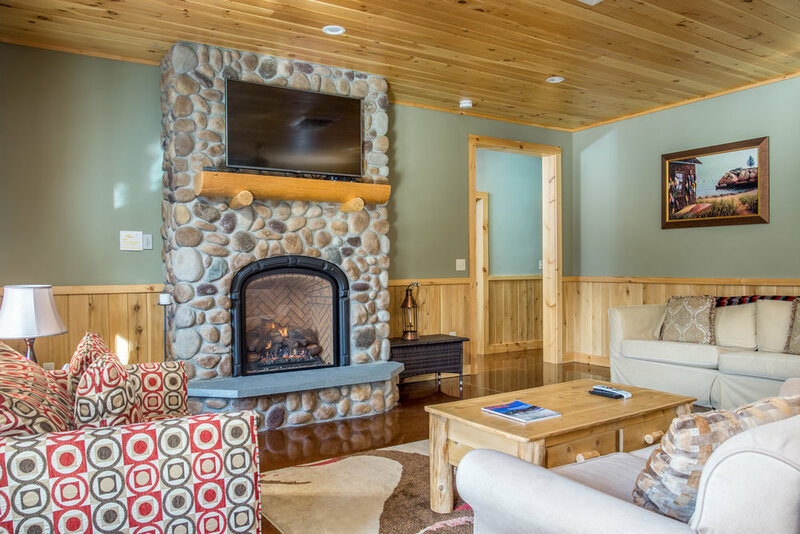 You will enjoy central air, on demand hot water and WiFi throughout. 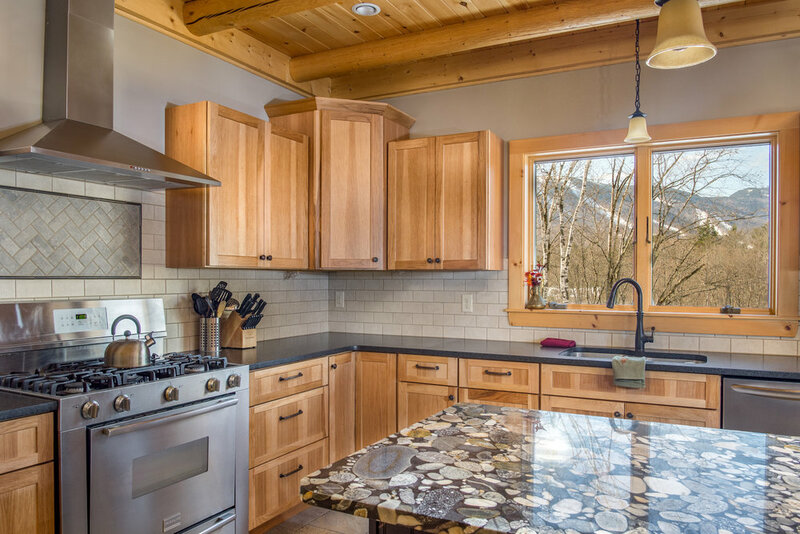 The outside offers four levels for entertaining and sweeping views. 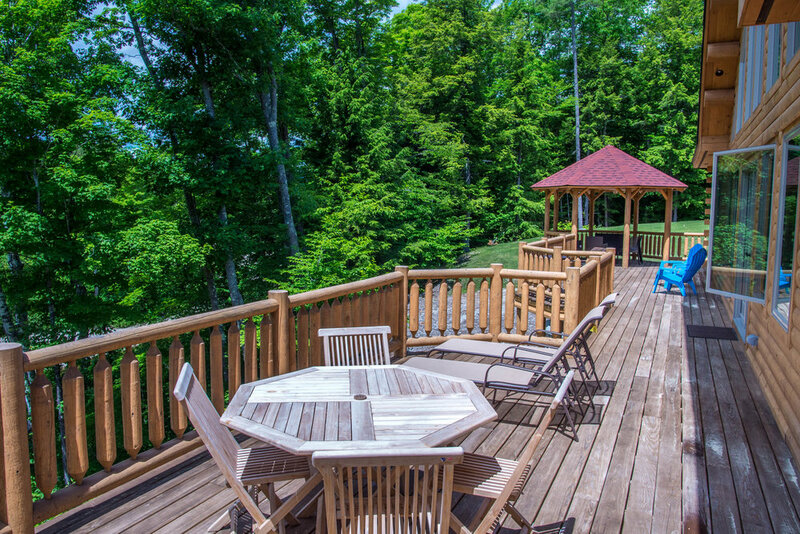 The main deck includes custom gazebo with seating area, outdoor gas fire place, gas grill and dining area. 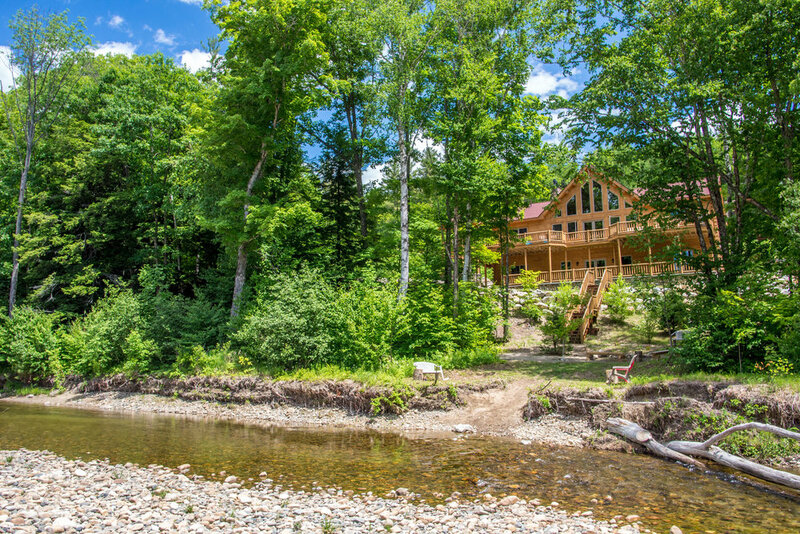 Lower level houses the 6-8 person hot tub in the custom gazebo, plus seating as well as a boulder terrace with fire pit down on the rivers edge.